March 3rd I completed 20 years in the USA. Why did I decided to move here? Because I did not want to go to university. Nothing against it but there were no profession, for me, worth 6 years of studying. In the US I learned about NLP (neuro linguistic programing) and network marketing. NLP lead me to personal growth, reading and attending some amazing seminars. And network marketing has become my profession. I thought I didn’t like studying but I really only needed something that I would be excited about in order for me to invest the time. Find something you love doing and you will never have to work another day in your life again. I am thankful for the last 20 years. For this country. For all the amazing friends I have. And for the path I found here. I thank God for guiding me and giving me the strength while away from my town, my friends and my family. For the last 10 years I’ve been involved with 10 different network marketing companies….. I Bought the CDs and DVDs went to the seminars. I gave away flyers and 10 biz cards per day. I have jumped and screamed…I was very motivated, but I had no success. It was only when I understood the 10 keys to success that I was able to make my first Million!! You know, many leaders say that the Company does not matter. They say its only up to you and they are half right, you can have a Ferrari but if you don’t get in it, turn on the engine and step on the gas, nothing will happen. But saying that its all up to you would be insane, its like saying that you can drive a 1969 bug against my X5 BMW and bit me to the finish line. So here are the 10 things you should look for in a Company. “Knowledge is power”, so read our FREE guide a few times until you truly understand it before you choose a company to partner up with. Don’t fool yourself, most company won’t make it. Actually 97% of the companies will not be here in the next 10 years. So do I have to say “BE EXTRA CAREFUL WITH A START UP COMPANY”? Most MLMrs will try to convince you that you must be on the top …… you must be the first one to join in order to make money. – The first people make money, everybody else looses. So start looking for another startup company 3 to 6 years from now because this opportunity will be gone by then. If you are building a business its because you want a residual income that will last a life time, for that to happen you need a company that will be here for the next 100 years. You need a company that will be better 10 or 20 years from now. You need a solid company with a real business. Don’t be fooled by the start ups…. 97% of them will not be here 10 years from now. The economy has been the worse in the last 50 years. Companies are laying people off, downsizing and many are going out of business. For the first time people are concerned they might lose their jobs or get a pay cut. I am from Brazil and many people from my country are going back home because they lost their jobs, and many times, 3 months without a job and they lose their car, their savings and/or their houses. If the company has loans, pays interest, high overhead. If the owner is spending more money on his fancy cars and his private jet than he is in his associates, you should probably run!!!! Choose wisely where you are going to invest your time. Look for a company mission driven, with long term vision. Built by people used to running big corporations. People that don’t use hype and exaggerations in order to motivate people, instead they have a mission that inspires people to reach their goals and to help others. A- Most companies are a one product company. Big mistake. Eventually Wall Mart and Costco will sell that same product for half of the price. We have seen this happened over and over again. Its happened with all the juice companies and it will happen with all the “Wonder Products” type of companies. B- Companies should have a variety of products with dozens of patents protecting their uniqueness, I believe they should be the manufacture and very aggressive as far as always creating new products and developing new patents. C- Real businesses are always evolving, increasing the variety of products and services will increase the volume per customer and loyalty as well. That is the only way to create real “walk away” residual income. Isn’t that what we are all working for? Woahhhhhh ……. wait a minute. Companies expect us to convince the masses to buy very expensive products month after month? Are they helping us to create freedom through residual income or are they just trying to make their millions while their business last?? 10 years ago there was a water filter company that made hundreds of millions of dollars. In 4 years the owner had acquired 2 privet jets, 12 Lamborghini, and 200 hundred million dollars in personal asset. AMAZING. Well, the company was shut down and many lives destroyed. The owner had to pay a fee but still managed to walk away with many millions. I am so glad was not a part of that but many people were and many more continue to join companies that are just trying to make as much as possible as fast as they can. A great company will always think long term and for that they must have products with reasonable prices. That is a very important factor in order to create real “walk away” residual income. If you are in business your goal should always be to have repeat customers. Those are the customers that will bring business to you every month and probably bring their friends and family. When I had my printing shop I would give away business cards to those that brought me referrals, those were my happy customers that kept coming back month after month. I have worked with 2 MLM companies that promoted juices and shakes. Good products, good results, however they were very expensive. How many of you would buy a $40 juice bottle every week ($160 per month) for the rest of your lives?? I‘ll tell you, in my team our reorder rate was only 30% and less than 10% of our customers were still buying a year later. Crazy business model. Only the people qualifying for a check were still buying after 1 year. No need to say that we were constantly replacing customers……. not lots of money on doing that. You need a business that most of your customers will buy your products month after month, year after year, regardless of whether they are making money or not. They are buying because they love and need your products. That’s a real business. THAT’S REAL RESIDUAL INCOME. – If you are buying products just to qualify for a bonus check, don’t do it. You should only promote a business or service if you would buy the products every month even if there was no business behind it. You are buying it because you need and want those products. NOT A REAL GOOD BUSINESS MODEL, especially if you want to create long lasting residual income. Low personal production will give a chance to the 80%ers, more people buying, more residual income for you and your team. – If it is so good why are you so anxious to make all that money on me? The real idea behind network marketing is to have many people doing a little instead of a few people doing a lot, so you should not have to buy inventories and you definitely should not have to buy thousands of dollars to qualify for your position. That’s called “front loading” and it is the main reason why many companies get in legal problems. Stay away from those deals at any cost. Many people doing a little will ensure your residual income. If you had to continue to put sand in a bucket that had a big hole on the bottom, how long would it take until you quit?? work, constantly depending on the new people coming in. With less than 30% reorder rate it was just like my bucket had a huge hole on the bottom. Not a pleasant experience. Customers will continue to buy month after month if there is value. Quality products at competitive price. That will create residual income!!! Walk away residual income for you and your family!! If you get this one right you will probably have a successful career with network marketing. There is a huge misconception with this one very important success factor. 1- If only the ones that get in first become successful, what they are saying is that in 5 or maybe 8 years the people that get in will fail and eventually the opportunity will not exist. 2- What they are also saying is that they will try to make and keep as much money as possible before the company collapses. Now…… who do you think will lose? The owners and the “big leaders”? Or the regular people?? The ones that bought the CDs, videos, seminars, products, etc…..
Are you trying to make some quick money or you are looking to create real residual income?? Why would you want your business to break away from you? Some companies say that the better person should get all the bonuses, but who brought that leader?? You did …. Shouldn’t you be rewarded? Why should you be penalized for bringing someone better than you? You shouldn’t! Breakaways and binaries only reward the top people not the 80%ers. Now…. the leader should make more if he is producing more but it should not take away from you. I am sure you have heard the 80/20 rules. 20% of all the people will make money and the 80% wont. What this rule is saying is that the money the 20% make comes from the 80%. Well, in most companies the start up cost is very high and it is not 100% refundable. So when the 80% get in and invest 1k, 2k or 3k dollars they will most likely lose their investment or at least a good part of it. That does not sound like a win win. All business should have 100% guarantee and no large investment……. no one looses, everyone, including the 80% wins. That’s a business that will last a life time and create long lasting residual income. I am sure that if you paid attention to this free guide you’ve gotten a much better understanding of why its important to pick the right vehicle as well as taking action. With the right company everything else is a lot more fun and profitable. I feel blessed to have so many great friends, and ridding my bike w Neto Garcia and Patricia Diniz after we scubdived together just a few days ago got me thinking. It’s not enough just to call people friends, if we don’t invest our time and share experiences w them that friendship will never grow. Even w our kids, if we don’t invest our time w them, they will still be our kids but we won’t know them and they won’t know us. #TonyRobbins says that life is made of memories and if we repeat those memories over and over w our kids it becomes a tradition and that they will forever remember. A unexpected phone call, a quick text saying hello, a walk on a park, lunch, bbq, a car ride together, etc…… those things will create a bond and eventually a loving relationship. Its so easy to get busy with life and ignore our loved ones and eventually feel empty and lonely. At the end of the day you will feel fulfilled or empty based on how much time you spent with the people you care about. It doesn’t matter how productive you were at work and how many likes you got on your social media posts, if you did not invest time in the people you care about your emotional bank account will feel empty. I tell my daughter my goal is to be a millionaire. She asks me what is a millionaire and I tell her that is someone with a million friends. I don’t mean a million likes nor a million followers, I mean a million friends. People I care about and that care about me. So, my friends ……. let’s create opportunities to spend time together and continue to create great memories. And specially ….. create memories and traditions w our kids. Give them the gift of getting to know you, give yourself the gift of getting to know them. One thing i learner on this country is that taxes were made for the rich and by the rich. So if you want to become successful you must learn how to take advantage of it. Although you and I are not accountants we need to understand the basics otherwise you will be paying way too much in taxes instead of keeping that money and creating your wealth. This video talks a bit about it. I hope you enjoy an take action today. Saving your money and paying your self first is a very important principle for success and very few people do it. I found this app through a good friend of mine many months ago and I’m loving it. It automatically saves your spare changes and it invests it for you. So, now, every time i spend $5.45 it rounds it up and it moves 55 cents into my acorn account and it invests into the stock market for me. Have you noticed how changes quickly adds up? And it sits in a jar and it does nothing for you. This app will keep your jars empty, it will keep every single penny safe and it will make it work for you. Watch and see how in very little months you have a nice extra savings going on for you and for your family. Link your accounts to it and start investing and saving today. Want to Make Some Cool Videos? Hey guys, hope you are all doing great. Just want to share an App i’ve been using for a while for my family’s videos and to promote my business. It’s called VivaVideo and its free. It will take a few minutes of playing around in order to get used to it but its easy, fun and you do it right from your phone. Lista de 55 ideas de cómo prospectar. No sabemos donde puede estar tu próximo líder. Hay que buscar los. tus conocidos. No prejuzgue a nadie. Es uno de los errores mas comunes en nuestro negocio. “Tengo una idea de negocio que puede ayudar a los agentes de bienes raíces. ¿Conoces a alguien que esté interesado? Persona esperando en línea en la tienda. No está de acuerdo y entonces esa es su apertura. Dentista, peluquería, tienda de bicicletas, etc. cansados de “poseer un trabajo” y están abiertos a la oportunidad. Red con Otros propietarios de negocios. Lugar para dar y obtener referencias. Involucrado con algo que tiene horas flexibles. Volver a visitarlo de nuevo. ¿chico? No pierdas la oportunidad de prospectarlos. Llame a los anuncios de multinivel en los periódicos. Esta gente esta gastando dinero sin muchos resultados. Tarjetas Drop en Libros – Ponga su Tarjeta de visita en Medio a libros en librerías. Llame a las publicidades que veas en otros carros. Tu nunca sabes quien vas a conocer. Haz tu el fish bowl y regale algunos de tus productos en cambio a la tarjeta de los empresarios locales. Hay muchas formas de contactar a nuevos prospectos. El mas importante es que eliga 5 a 7 formas y haz lo con consistencia. 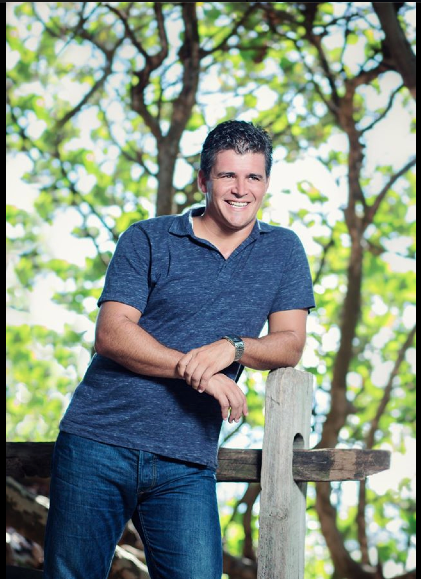 Fabricio Nobre has over 14 years of MLM experience and made his first million before he turned 30 years old. He’s trained and coached thousands of people…not just in the US, but in Europe and in Brazil; where he’s originally from. Asides from building his global empire, Fabricio is a single father with 2 kids; Kyla and Luana. Fabricio loves being active. He surfs, bikes, paddle boards, runs, sky dives, goes scuba diving, just to name a few things he likes doing. A big part of his success is he turns these fun activities into great opportunities to meet new people to build his business. A great professional is perceived by many by his or her perfect resume. Aside from the corporate courses and experiences, emotional balance is something of great value nowadays. I know many people today, unfortunately, that in order to reach the top of the business world, damaged their family relationships. And the most important business, “the company of life”, can take a long time to reorganize. As for me, my most important asset is my family. My girls. They mean the world to me. I wouldn’t be who I am today if it weren’t for them. I take the time to invest in my future, to invest in them. I give them all my love, care, and most importantly, my time.